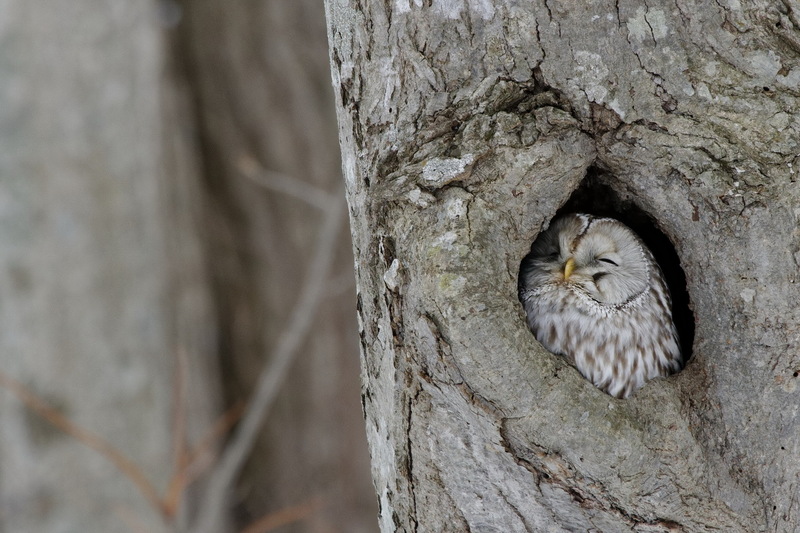 Ural Owls were a staple winter bird on my old blog over the years. There were a total of 4 roosting holes that regularly held birds throughout the winter. These 3 pictures were all from different trees, all 3 of them easy to see from the road that winds around Lake Onuma. These were all dead trees and the problem with dead trees is that they are, well, dead. All 3 of them have since been blown down by summer typhoons. There was aanother one that is still standing but I haven’t seen an Owl there for years. The Owls must still be there of course but deeper in the snowbound forest and away from the road and undiscovered by birders………..